Led by longtime Ghost River Theatre (Tomorrow’s Child) audiovisual designer and programmer Matthew Waddell, the Intro to Multimedia Design Intensive is a hands-on introduction to the latest tools and techniques used in sound and video design for theatre and multimedia performance. This four-day, 18 hour, workshop will combine lectures, live demos and in-class excercises that will guide participants through the process of digital audiovisual design and show control from conception to delivery. 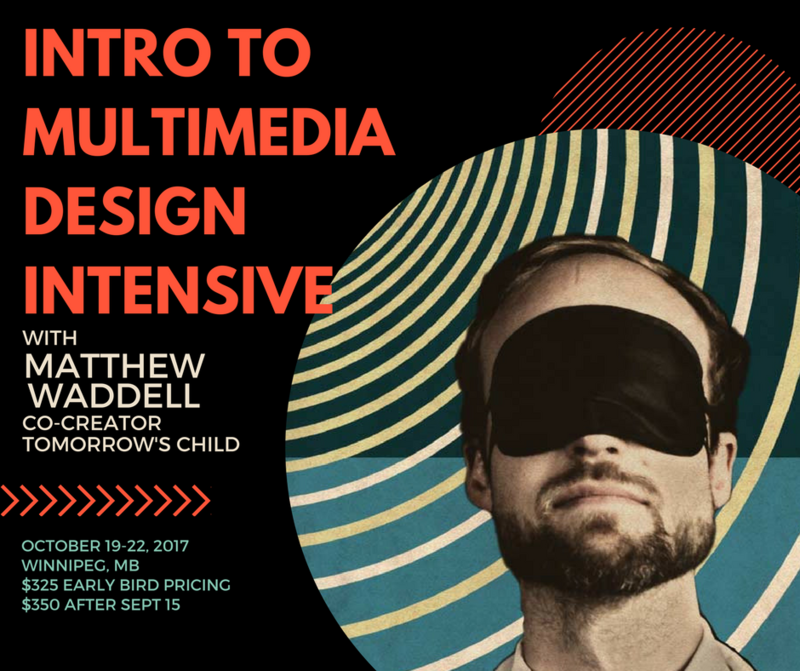 The intensive is intended for students, technicians, designers, artists and educators with little to novice experience with mutlimedia design or digital tools. Although not mandatory, participants are encouraged to bring their own Mac OS laptop computers to follow along with the demonstrations. We will be using Qlab extensively. Please have it installed and ready to use when you arrive. You will also have access to a projector so please bring a VGA adapter for your computer. Matthew Waddell is an audiovisual artist, multimedia programmer and educator. Matthew has been involved with digital arts for the last ten years and programs his own audiovisual performance software which has been used in Theatre, Dance, New Media, Music creation and recently Architectural Building Projection. As a musician he has performed in a number of festivals including Mutek, Suoni per il Popolo and Le Festival des Musiques de Creation de Jonquiere. He has attended residencies at the Banff Centre and the Society for Arts and Technology in Montreal and presented New Media work in Quebec and France. Matthew is an instructor and coach in the production department at the National Theatre School of Canada.